Framaroot is one of the best apps to root android phone in one click. Most of the guys are looking to download Framaroot apk so that they can root their phone in one click. As this app is not available in the play store so I have decided to come up with a dedicated Framaroot apk blog from which you can download all versions of Framaroot apk. On this blog, I will cover all details related to Framaroot including FAQ and how to install framaroot. Framaroot is a free android app which can root almost every device in one click without any need of PC/Computer. Framaroot has its own complex exploits which vary from device to device according to its chipset model and android version. In newer versions of Framaroot, you can unroot your android phone in one click too. Framaroot can root many devices without a computer, you can check those devices name in framaroot supported devices list. So, let’s move on to framaroot apk download link. Below, we are sharing download links of all versions of framaroot apk. Just click on download button below and save apk to your android device. We have already shared framaroot apk download link. So in below steps, we are assuming that you have already downloaded Framaroot APK from above link. So let’s move on to the tutorial in which we will explain how to install Framaroot apk in android phone. Tap on Framaroot apk from File Manager of your android phone or you can download any third party file manager like ES File Explorer from Downloads folder. Now, tap on Install button. After some seconds, it will show App Installation Completed message. 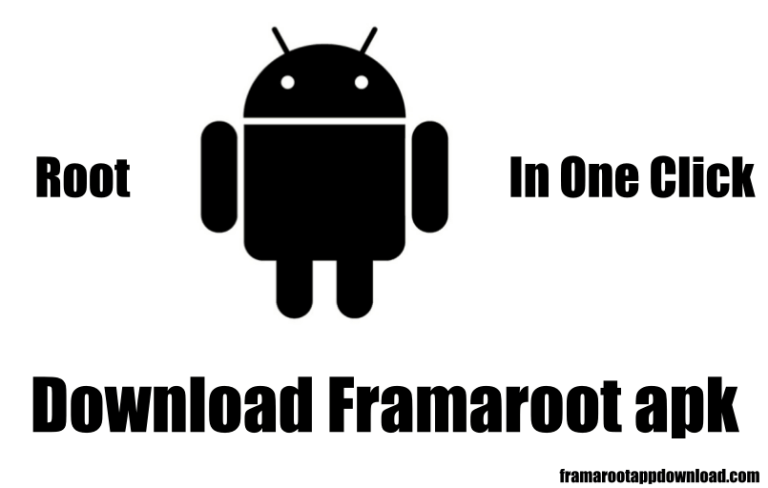 So, it was all about how to install Framaroot in android phone. Once you have followed above steps, you can see Framaroot app icon in app drawer of your android phone. So I hope you have successfully installed Framaroot in your android phone using above steps. Let’s move on to tutorial on how you can root android device without a computer using Framaroot. First of all, Open Framaroot from app drawer of your android phone. Now, there are two possibilities that it will show available exploit which can root your android phone or it will show an error that Your device seems not vulnerable to exploit included in Framaroot. (If you are getting this error then Framaroot will not work on your android device). If you are not getting above error, chances are that Framaroot will root your android device. You must be getting three options now which I am explaining in details below. Select this option if you want to root your android device. 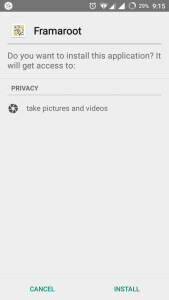 It will install an app in your android phone called as SuperSU which manages all Su permissions to different root apps. Once, you have selected this option and then there are following possibilities. Success: Congratulations, your android phone is rooted successfully. Restart it now and Open SuperSU and click on Update Binaries (if you get any popup). Enjoy, your rooted android device now. Now, you can enjoy all android apps like lucky patcher which will work on rooted devices only. Failed: That exploit was unable to root your android device. Try any other exploit (if available). App Hanged or Crashed? Close app and Re-try that exploit now. There are many advantages of unrooting the android phone. Select this option if you want to unroot your device. This option will delete SuperSU app and it’s binaries. (In other words, it is used to unroot android phone which is rooted). To unroot your device, follow below steps. Select unroot from the drop down menu. Select any of available exploit. It will delete su binaries and su app too. This option is meant for advanced users only. It is not recommended to use this option. (It can brick your device too). After selecting any of available exploits, if you are getting any error with a number less than or equal to 9 then your phone can’t be rooted via Framaroot. If you got error 10 then give a try to Framaroot 1.5.3 APK. Q1. 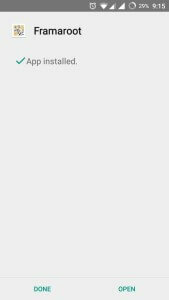 Framaroot not working on XYZ device. What to do? Ans. You can give a try to other exploits. You can try other exploits or any other APK. So it was all about Framaroot app. If you are having any problem in downloading framaroot apk or install it or in rooting your android phone. Feel free to comment below. If you have successfully rooted your android device using this device, you can comment your android device model so that it can help other readers too. How to Check If Your Android Phone Is Rooted Properly or Not?